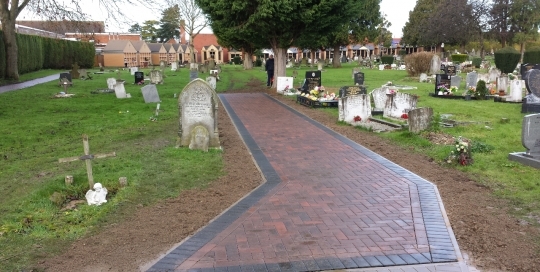 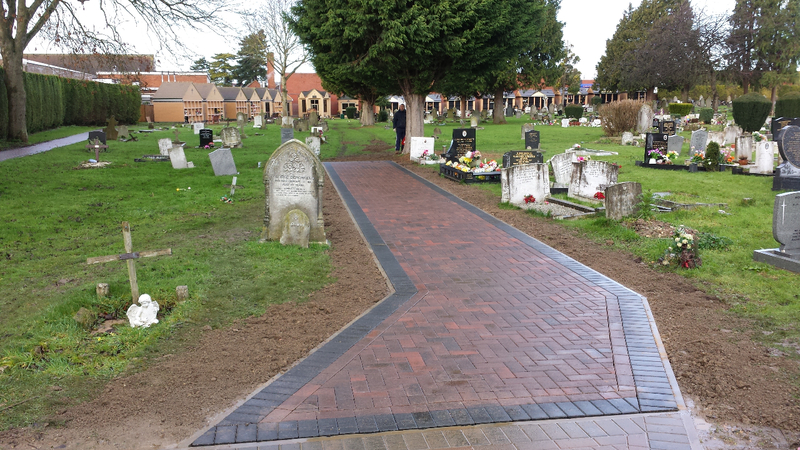 Brand new block paved pathways created from main entrance to Aylesbury Cemetery and along side leading Italian Mausoleum. 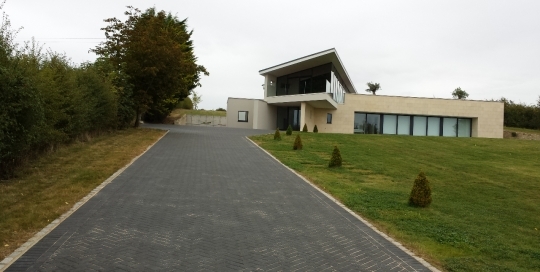 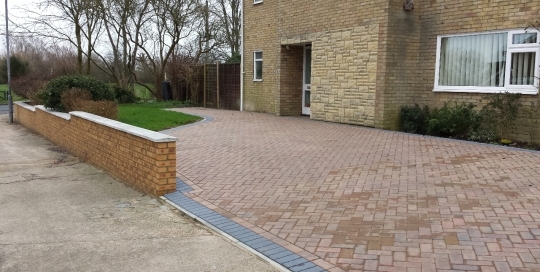 New block paved driveway using Bradstone 60mm standard blocks covering an area of over 1000 square metres. 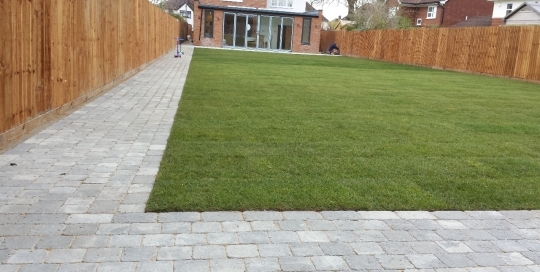 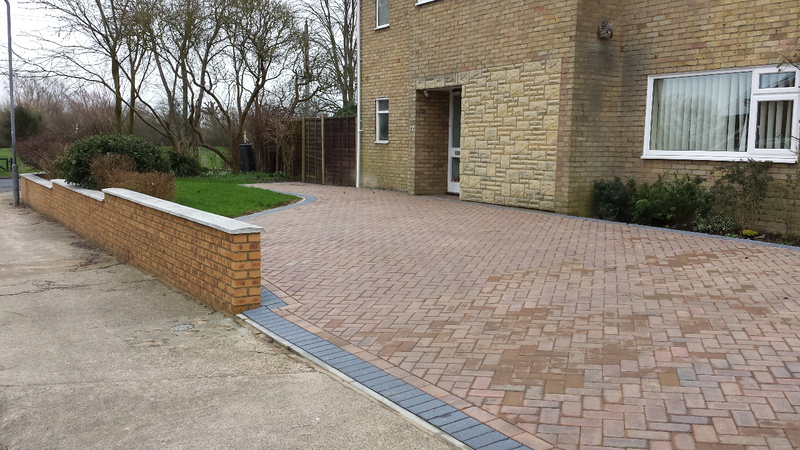 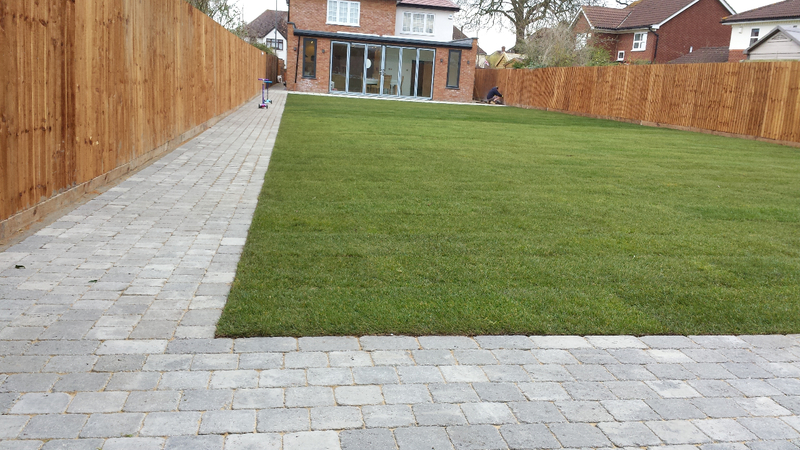 New driveway laid using Brett Autumn Gold blocks and Charcoal border. 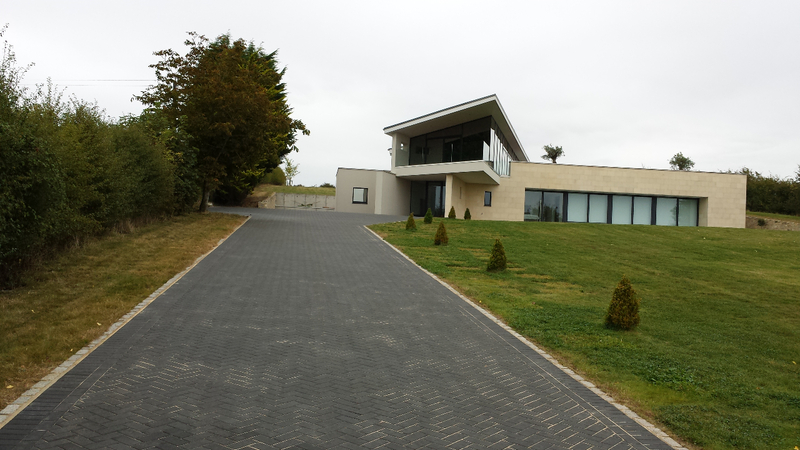 Also new retaining wall built at front of property.